Save the dates. Fall/Winter 2017/18. We will be in Florence @ Pitti Uomo. Then Berlin @ Seek. For details see below. After the ordershows in Frankfurt and Zürich we will show all collections again in Hamburg 26.-28. 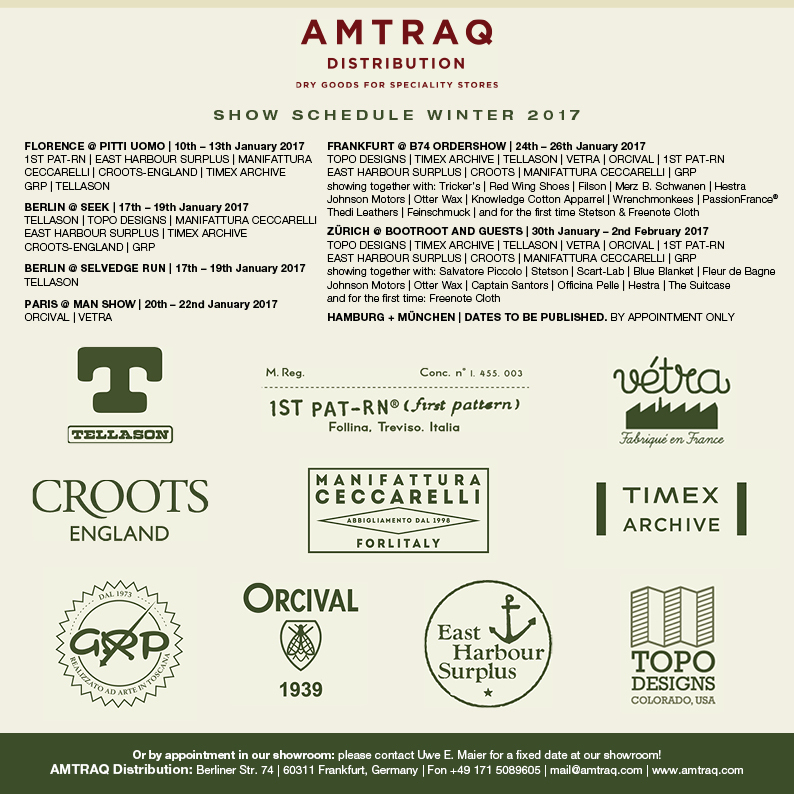 Feb. 2017 @ showroom Gärtnerstrasse 18 (ehemals Closed, jetzt Knowledge Cotton Apparel). This entry was posted in News and tagged Amtraq, Amtraq Distribution., Berlin, Florenz, Pitti Uomo, SEEK by AMTRAQ. Bookmark the permalink.